If you know me or have been following my work for any length of time, you’ll know I love to draw on public transport systems around the world. Why? Because trains, subways and buses are the arteries and nervous systems of the cities they service and the people who use them their lifeblood. 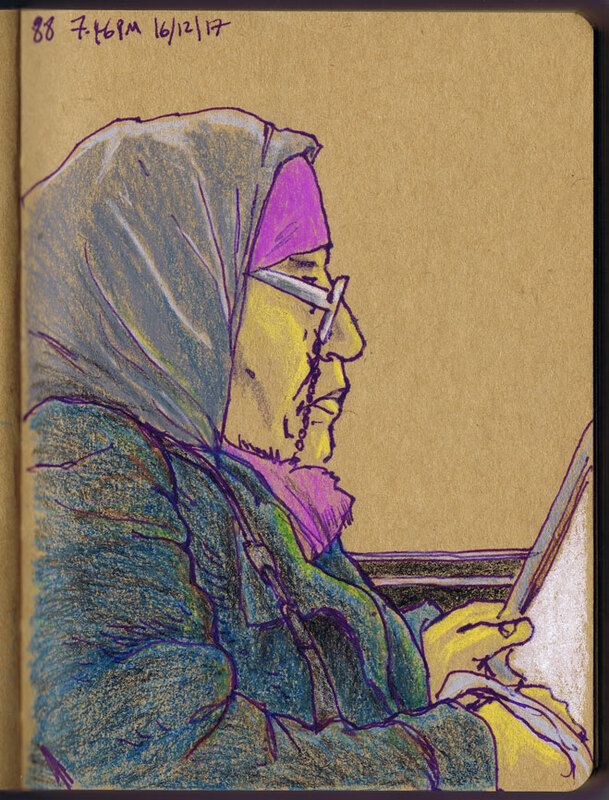 And passengers are too busy looking at their phones or being asleep to notice me scribbling away doing portraiture. (It’s free life drawing!) 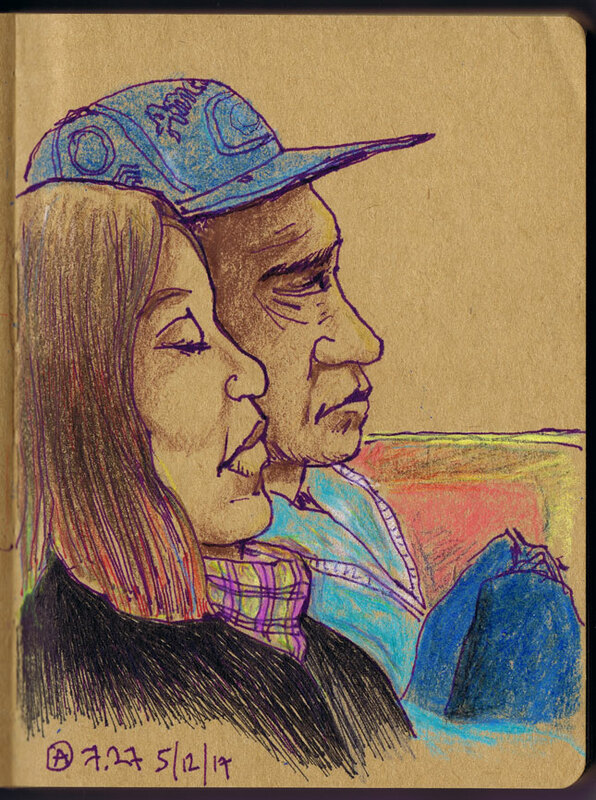 I like the sense that you may never see the people you pass or travel with ever again, but here they are, captured in a sketch.